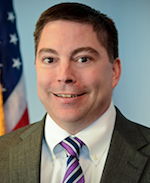 Ecstatic remarks by FCC Commissioner Mike O’Rielly on the first “World Wi-Fi Day” June 20 have caused a bout of head shaking and alarm in the Wi-Fi health community. O’Rielly pulled out all the stops in singing the praises of the observance, saying it “acknowledges the wonderful technology” that has been developed. He sees a world literally bathed in wireless transmission of information. “It’s more than likely than not that internet traffic will continue to shift to Wi-Fi for the foreseeable future and security enhancements will reverse threats of exposed consumer experiences,” he said. “Moreover, ubiquitous Wi-Fi voice calling and a truly mesh network seem not far away. Wi-Fi incorporation into location technologies seems a guarantee especially for hard to reach areas such as building interiors,” he added. Without Wi-Fi, “Users would still be dragging fiber throughout the inner workings of commercial buildings, residences and campuses, dramatically raising service costs while reducing availability,” he continued. Wi-Fi and pulsed radiation health advocates say research shows that cellphones, computers, wireless tablets, cell towers, routers in classrooms and offices, cordless phones, cordless phone bases in bedrooms, baby monitors, wearables, wireless utility meters, etc., pose a health hazard. Especially at risk are children, as is shown in this graphic. 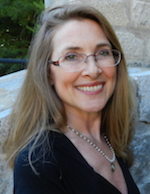 She cites Harvard's “Captured Agency Report” and notes the U.S. Government Accountability Office asked the FCC to bring its public radiation exposure guidelines in line with current science in 2013. “A little education can go a long way toward protecting yourself and your loved ones,” says the site. The product information pamphlets that come with wireless devices contain a passage about Exposure to Radio Frequency Energy, says Doucette. But some companies, she notes, have taken the passage out of the hard-copy materials, and imbedded it deeply within the device settings, usually under the Legal heading, where consumers are unlikely to see it. Showthefineprint.org has compiled these passages so you can easily see what your device warns, she adds. Although companies say they comply with FCC regulations, science has proven the regulations are hundreds to thousands of times too high to prevent the damage being done at the non-thermal level by mobile devices. 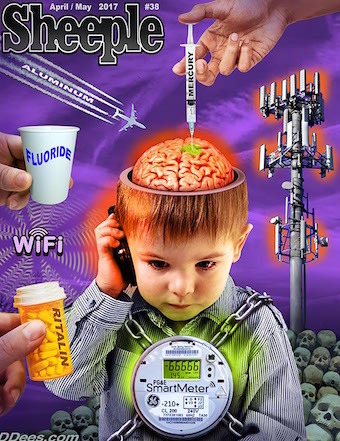 In 2012 the Government Accountability Office instructed the FCC to "formally reassess the current RF energy exposure limit, including its effects on human health" and as of this writing in 2017, it has not been done. Our FCC chairman is from the telecom industry so we may not see changes at the national level in the near-term. Click here to hear the history from Dr. George Carlo of how industry was able to get this technology to market before it was properly tested and how research findings have been suppressed since. You may also wish to read his book, "Cell Phones: Invisible Hazards in a Wireless Age (Avalon, 2001)". In 2015, Harvard University's Norm Alster published "Captured Agency: How the Federal Communications Commission is Dominated by the Industries it Presumably Regulates". This further details what has happened with the FCC since telecom industry leaders like Tom Wheeler took the helm, and how they have been able to establish laws that protect industry profits over public health. The iPhone cellular antennas are located at the top and bottom edges of iPhone. The Wi-Fi and Bluetooth® antenna is located near the top of iPhone. iPad contains radio transmitters and receivers. When on, iPad sends and receives radio frequency (RF) energy through its antenna. The Wi-Fi and Bluetooth® antennas are located behind the screen to the left of the Home button, and behind the Apple logo. When carrying iPhone, keep it 1.5 cm (5/8 inch) or more away from your body to ensure exposure levels remain at or below the maximum levels. Avoid cases with metal parts. The iPad brochure states: For optimal mobile device performance and to be sure that human exposure to RF energy does not exceed the FCC, IC, and European Union guidelines, always follow these instructions and precautions: Orient the device in portrait mode with the Home button at the bottom of the display, or in landscape mode with the cellular antenna (located under the black edge at the top of the device) away from your body or other objects. In other words, if you keep these devices on your body, the radiation you receive will exceed even the FCC's guidelines which we now know are already 100s to 1,000s of times too high. The manufacturers are only required to adhere to current government guidelines, so they continue to introduce more devices to earn more revenue. The last line in this 2012 abstract from the NIH's PubMed database, on harm from laptops, is, "Laptop is paradoxically an improper site for the use of a LTC (laptop computer), which consequently should be renamed to not induce customers towards an improper use." So, that is what industry subsequently did. They renamed "laptops" to "tablets" but didn't inform the public that they are unsafe to use in the lap, and should be used on a table instead (and, might I add, best used in airplane mode and/or hard-wired).